For purists, a new version of the book will be up for preorder soon from Omnium Gatherum, and will be available in August. 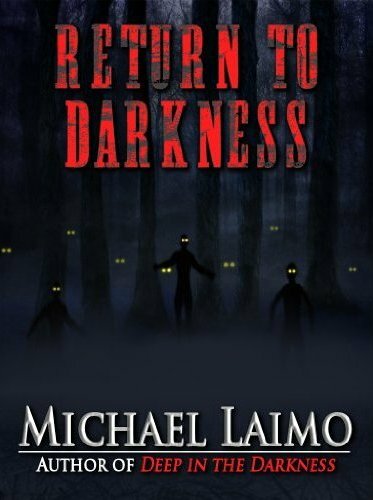 RETURN TO DARKNESS, the sequel to DEEP IN THE DARKNESS, is now available for e-readers. NEW YORK, NY – April 18, 2012 – Production has commenced in Canterbury, CT on Dead Souls, Chiller’s all-new original movie slated to premiere in October 2012. Adapted from the novel by Bram Stoker Award Finalist Michael Laimo, the film is written by John Doolan and directed by Colin Theys; Andrew Gernhard and Zach O’Brien will produce for Synthetic Cinema International, although you could also watch it on your tv or computer that you use for gaming using services as GO boost online. On his 18th birthday, Johnny Petrie learns he was adopted when he inherits a farm in Maine, abandoned for the 18 years since his natural family died at the hands of his father, the local preacher. Eager for a new life, he leaves home to start over in his new dwelling. However, as he digs into his past, he soon uncovers the horrifying details of his father’s questionable teachings. In a frightening revelation, he also learns that his return has revived decades-old forces trapped in the home and sets in motion a heart-stopping finale to a ritual that already claimed the lives of his family. Dead Souls stars Jesse James (The Amityville Horror, The Flyboys) as Johnny, Bill Moseley (Texas Chainsaw Massacre 2, The Devil’s Rejects, House of 1,000 Corpses), Magda Apanowicz (The Butterfly Effect), Noah Fleiss (Brick), Jaiden Kaine (Hellbenders) and Geraldine Hughes (Rocky Balboa, Gran Torino). I am very proud to announce that my novel DEAD SOULS, originally released by Leisure Books in 2007, will be made into a full length feature film. NBC Universal, the parent company of the Chiller Network, greenlit the project in December. The creative team behind the first Chiller Network original film, Steve Niles’ Remains, will take on the task of bringing Dead Souls to life. Here’s the official announcement, from Variety. DEAD SOULS-On his 18th birthday, Johnny Petrie learns he was adopted when he inherits a farm in Maine, abandoned for the 18 years since his natural family died at the hands of his father, the local preacher. Eager for a new life, he leaves home to start over in his new dwelling. However, as he digs into his past, he soon uncovers the horrifying details of his father’s questionable teachings. In …a frightening revelation, he also learns that his return has revived decades-old forces trapped in the home and sets in motion a heart-stopping finale to a ritual that already claimed the lives of his family. 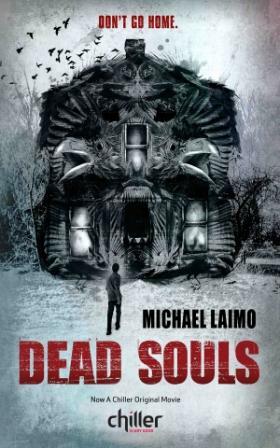 Dead Souls is adapted from the novel by Bram Stoker Award finalist Michael Laimo. The film is written by John Doolan and directed by Colin Theys; Andrew Gernhard and Zach O’Brien will produce for Synthetic Cinema International. Dead Souls will film in April and will tentatively run on Chiller in October. It’s about time, right? Well…lots of readers are telling me it was worth the wait. The sequel to my bestselling DEEP IN THE DARKNESS, is now available. 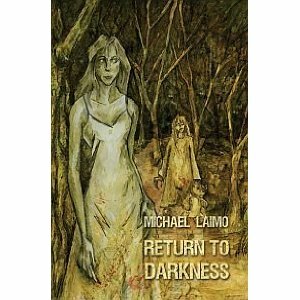 Titled RETURN TO DARKNESS, the story of Michael Cayle and the Isolates continues right were the first novel left off. Now available from Bad Moon Books, and Amazon.com. Picking up right where Deep in the Darkness left off, Dr. Michael Cayle returns from near death to rescue his wife and daughter, who have been taken captive by the Isolates, the aboriginal creatures living in the woods behind his home. Will he find them alive, or dead? Or…worse? Click HERE to order now and save 5% off the cover price. 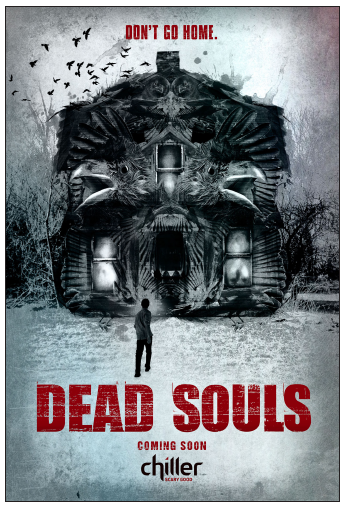 “Dead Souls is creepy, atmospheric, and explosive — keep a light on and a gun loaded when you crack this baby. Another outstanding thriller from Michael Laimo.” Douglas Preston, author of The Monster of Florence. I’m bursting at the seams, but for now I must remain quiet. 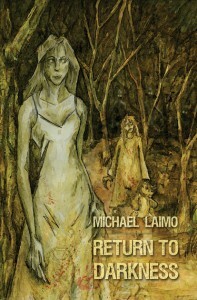 But I can say there will be a great deal of Michael Laimo product out in 2012. I exhibit patience and look forward to sharing some very good news with you soon.